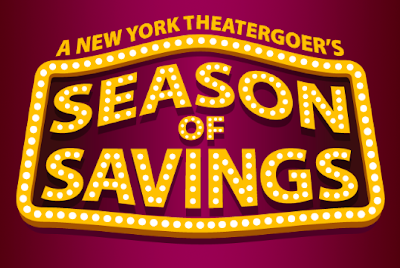 Season of Savings, Broadway’s seasonal guide for New York theater discounts, is one of my favorite times of the year. I honestly can't think of many better holiday or birthday gifts than a pair of tickets to a show! 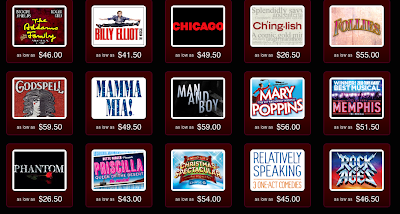 The program offers all different types of Broadway and Off Broadway shows for up to 50% off along with exclusive deals on parking and Times Square favorites such as Madame Tussauds. The goal of Season of Savings is to make sure the district remains busy while allowing theater to be affordable for every wallet. Scoop up your tickets before they sell out! Also, if you're looking for a delicious bite before or after your show, Tony's diNapoli is an EXCELLENT family style Italian restaurant (with delicious sangria). Season of Savings kindly hosted myself and other NYC bloggers at Tony's for a special reception in honor of Season of Savings last week and honestly, I ate a few too many crackers beforehand (I was trying to kill off my unnecessary Hurricane Irene food stash) but I still managed to stuff myself with more food than was reasonable. And I liked it.